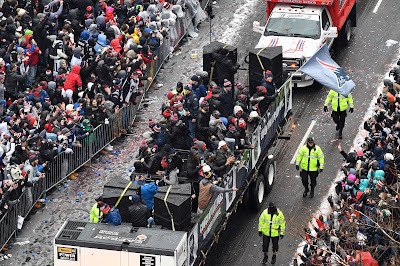 Congratulations to the 2018-2019 New England Patriots. The 2001, 2003, 2004, 2016, 2018 Super Bowl Champions will be welcomed by the greatest sports fans in America tomorrow. 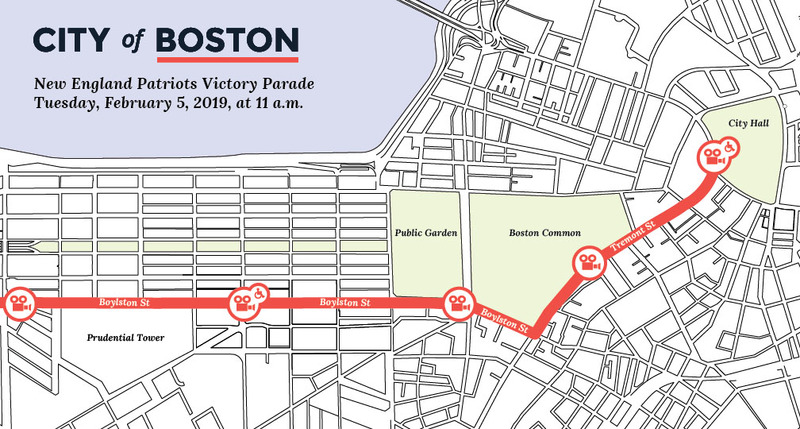 If you come in to Boston please consider taking the T - they will be running rush-hour service on the subway all day, and some Commuter Rail trains will have extra cars. 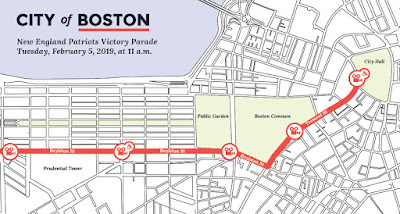 Duck Boats roll at 11 AM from the Hynes Convention Center, and then head up Boylston Street then Tremont Street to City Hall.